It is up to you to determine if you want salt, sugar or nothing at all on the rim of your glass, but whatever you decide let’s get to work and prepare one. Shall we? Salt or sugar to rim the glass, optional. Pour all the ingredients into a cocktail shacker and include some ice too. Shake for about 2 minutes. 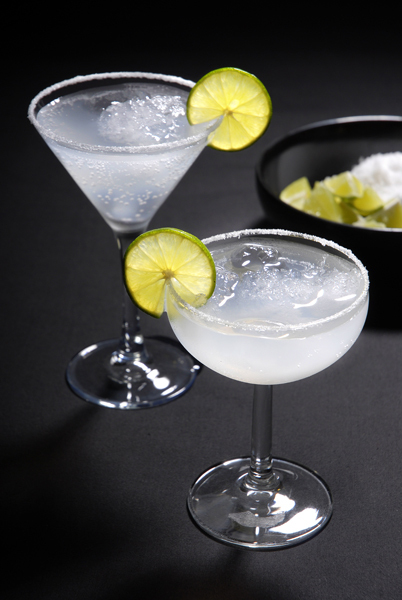 In a margarita glass (in case you decide to do so), salt the rim of the glass with the mixture previously prepared, then pour the drink from the shaker into the glass, adding new ice to the glass and garnish the glass with the lime wedge. Enjoy!! This entry is filed under Margaritas. You can follow any responses to this entry through the RSS 2.0 feed. You can skip to the end and leave a response. Pinging is currently not allowed. Magarita is my favorite drink! Thank you for the recipe.